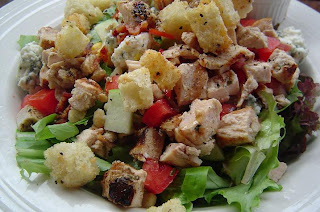 I love chopped salad. But could never get the lettuce chopped right. tools but really love this tool. 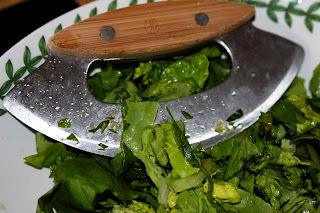 This tool can chop the salad right in the bowl. I also use it chop herbs, make salsa in a bowl, and to make chopped salad...... Yum. I am turning off the blog comments on this blog until Easter. I love my blog friends and will put my email in my profile to hear from you. I will follow all of your blogs. My purpose is to focus on him not myself.